“A Systematic Review of the Effectiveness of Qigong Exercise in Cardiac Rehabilitation”; American Journal of Chinese Medicine. 2012;40(2):255-67. by Chan CL, Wang CW, Ho RT, Ho AH, Ziea ET, Taam Wong VC, Ng SM. From Centre on Behavioral Health, University of Hong Kong, HKSAR, China. 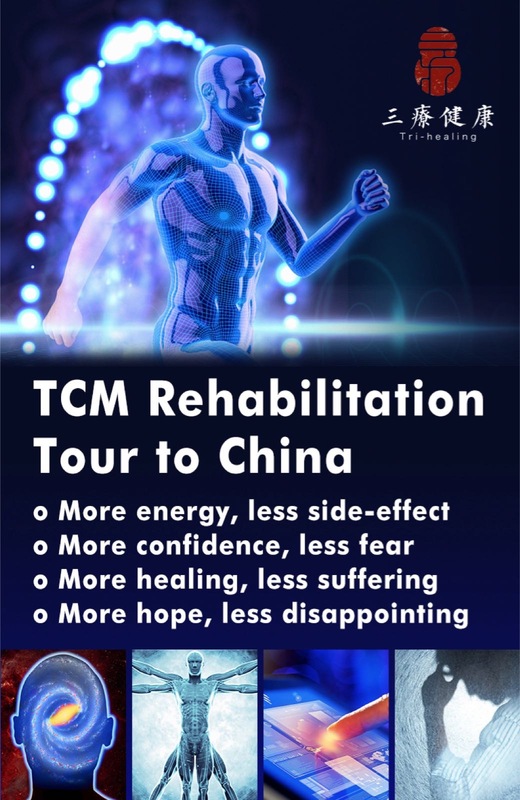 Objective: The objective of this study was to assess evidence for the efficacy and effectiveness of Chinese qigong exercise in rehabilitative programs among cardiac patients. 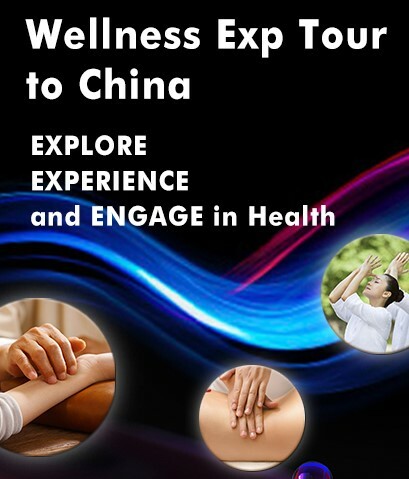 Thirteen databases were searched through to November 2010, and all controlled clinical trials on Chinese qigong exercise among patients with chronic heart diseases were included. For each included study, data was extracted and validity was assessed. Study quality was evaluated and summarized using both the Jadad Scale and the criteria for levels of evidence. Seven randomized controlled trials (RCTs) and one non-randomized controlled clinical trial (CCT) published between 1988 and 2007 met the inclusion criteria. In total, these studies covered 540 patients with various chronic heart diseases including atrial fibrillation, coronary artery disease, myocardial infarct, valve replacement, and ischemic heart disease. Outcome measures emerged in these studies included subjective outcomes such as symptoms and quality of life; and objective outcomes such as blood pressure, ECG findings, and exercise capacity, physical activity, balance, co-ordination, heart rate, and oxygen uptake. Conclusion: Overall, these studies suggest that Chinese qigong exercise seems to be an optimal option for patients with chronic heart diseases who were unable to engage in other forms of physical activity; however, its efficacy and effectiveness in cardiac rehabilitation programs should be further tested. “Efficacy of Five-Element Gymnastics in Glucose and Lipid Control in Taiwanese Patients with Type 2 Diabetes”. Res Nurs Health. 2012 Apr 11. [Epub ahead of print] by Huang CL, Tai YK, Yang YH, Wang RH. From Dept of Nursing, Yuan’s General Hospital, Kaohsiung, Taiwan. Abstract: The purpose of this quasi-experimental study was to determine the efficacy of Five-Element Gymnastics (FEG) in controlling glycosylated hemoglobin (HbA1C), total cholesterol (TC), high-density lipoprotein cholesterol (HDL-C), low-density lipoprotein cholesterol (LDL-C), and triglycerides (TG) at the 8th and the 16th weeks of intervention for patients with type 2 diabetes in Taiwan. 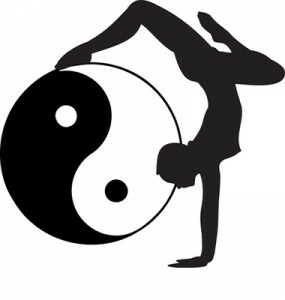 FEG consolidates several traditional Chinese exercises including Qigong, Xiang Gong, and martial arts with gymnastics. The experimental group (n = 31) practiced FEG at home for 16 weeks. The control group (n = 35) maintained usual activities. FEG was associated with decrease of HbA1C, TG, and LDL-C levels at the 8th week and continuous decrease of HbA1C through the 16th week. FEG could be an exercise choice for patients with type 2 diabetes. “Benefits of Yoga for Psychosocial Well-Being in a US High School Curriculum: A Preliminary Randomized Controlled Trial”. Journal Developmental Behavior Pediatrics. 2012 Apr;33(3):193-201. by Noggle JJ, Steiner NJ, Minami T, Khalsa SB. From the “Division of Sleep Medicine, Department of Medicine, Brigham and Women’s Hospital, Harvard Medical School, Boston, MA”. 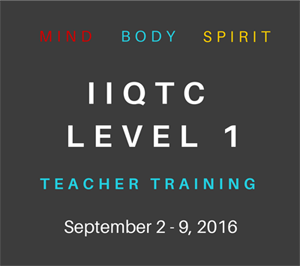 Objective: To test feasibility of yoga within a high school curriculum and evaluate preventive efficacy for psychosocial well-being. Methods: Grade 11 or 12 students (N = 51) who registered for physical education (PE) were cluster-randomized by class 2:1 yoga:PE-as-usual. A Kripalu-based yoga program of physical postures, breathing exercises, relaxation, and meditation was taught 2 to 3 times a week for 10 weeks. Self-report questionnaires were administered to students 1 week before and after. Primary outcome measures of psychosocial well-being were Profile of Mood States-Short Form and Positive and Negative Affect Schedule for Children. Additional measures of psychosocial well-being included Perceived Stress Scale and Inventory of Positive Psychological Attitudes. Secondary measures of self-regulatory skills included Resilience Scale, State Trait Anger Expression Inventory-2™, and Child Acceptance Mindfulness Measure. To assess feasibility, yoga students completed a program evaluation. Analyses of covariance were conducted between groups with baseline as the covariate. Results: Although PE-as-usual students showed decreases in primary outcomes, yoga students maintained or improved. Total mood disturbance improved in yoga students and worsened in controls (p = .015), as did Profile of Mood States-Short Form (POMS-SF) Tension-Anxiety subscale (p = .002). Although positive affect remained unchanged in both, negative affect significantly worsened in controls while improving in yoga students (p = .006). Secondary outcomes were not significant. Students rated yoga fairly high, despite moderate attendance. Conclusions: Implementation was feasible and students generally found it beneficial. Although not causal due to small, uneven sample size, this preliminary study suggests preventive benefits in psychosocial well-being from Kripalu yoga during high school PE. These results are consistent with previously published studies of yoga in school settings. Mindfulness Meditation-Related Pain Relief: Evidence for Unique Brain Mechanisms in the Regulation of Pain. Neuroscience Letter. 2012 Apr 6. [Epub ahead of print] By Zeidan F, Grant JA, Brown CA, McHaffie JG, Coghill RC. From Wake Forest School of Medicine, Department of Neurobiology and Anatomy. Abstract: The cognitive modulation of pain is influenced by a number of factors ranging from attention, beliefs, conditioning, expectations, mood, and the regulation of emotional responses to noxious sensory events. Recently, mindfulness meditation has been found attenuate pain through some of these mechanisms including enhanced cognitive and emotional control, as well as altering the contextual evaluation of sensory events. This review discusses the brain mechanisms involved in mindfulness meditation-related pain relief across different meditative techniques, expertise and training levels, experimental procedures, and neuroimaging methodologies. Converging lines of neuroimaging evidence reveal that mindfulness meditation-related pain relief is associated with unique appraisal cognitive processes depending on expertise level and meditation tradition. Moreover, it is postulated that mindfulness meditation-related pain relief may share a common final pathway with other cognitive techniques in the modulation of pain. Meditation-Induced Changes in High-Frequency Heart Rate Variability Predict Smoking Outcomes. Frontier of Human Neuroscience. 2012;6:54. Epub 2012 Mar 19. by Libby DJ, Worhunsky PD, Pilver CE, Brewer JA. From Dept of Psychiatry, Yale University School of Medicine, New Haven CT, USA. Background: High-frequency heart rate variability (HF-HRV) is a measure of parasympathetic nervous system (PNS) output that has been associated with enhanced self-regulation. Low resting levels of HF-HRV are associated with nicotine dependence and blunted stress-related changes in HF-HRV are associated with decreased ability to resist smoking. Meditation has been shown to increase HF-HRV. However, it is unknown whether tonic levels of HF-HRV or acute changes in HF-HRV during meditation predict treatment responses in addictive behaviors such as smoking cessation. Purpose: To investigate the relationship between HF-HRV and subsequent smoking outcomes. Methods: HF-HRV during resting baseline and during mindfulness meditation was measured within two weeks of completing a 4-week smoking cessation intervention in a sample of 31 community participants. Self-report measures of smoking were obtained at a follow up 17-weeks after the initiation of treatment. Results: Regression analyses indicated that individuals exhibiting acute increases in HF-HRV from resting baseline to meditation smoked fewer cigarettes at follow-up than those who exhibited acute decreases in HF-HRV (b = -4.89, p = 0.008). Conclusion: Acute changes in HF-HRV in response to meditation may be a useful tool to predict smoking cessation treatment response. Effects of Meditation Experience on Functional Connectivity of Distributed Brain Networks. Frontier of Human Neuroscience. 2012;6:38. Epub 2012 Mar 1. by Hasenkamp W, Barsalou LW. From Dept of Psychology, Emory University Atlanta, GA, USA. Abstract: This study sought to examine the effect of meditation experience on brain networks underlying cognitive actions employed during contemplative practice. In a previous study, we proposed a basic model of naturalistic cognitive fluctuations that occur during the practice of focused attention meditation. This model specifies four intervals in a cognitive cycle: mind wandering (MW), awareness of MW, shifting of attention, and sustained attention. Using subjective input from experienced practitioners during meditation, we identified activity in salience network regions during awareness of MW and executive network regions during shifting and sustained attention. Brain regions associated with the default mode were active during MW. In the present study, we reasoned that repeated activation of attentional brain networks over years of practice may induce lasting functional connectivity changes within relevant circuits. To investigate this possibility, we created seeds representing the networks that were active during the four phases of the earlier study, and examined functional connectivity during the resting state in the same participants. Connectivity maps were then contrasted between participants with high vs. low meditation experience. Participants with more meditation experience exhibited increased connectivity within attentional networks, as well as between attentional regions and medial frontal regions. These neural relationships may be involved in the development of cognitive skills, such as maintaining attention and disengaging from distraction, that are often reported with meditation practice. Furthermore, because altered connectivity of brain regions in experienced meditators was observed in a non-meditative (resting) state, this may represent a transference of cognitive abilities “off the cushion” into daily life. 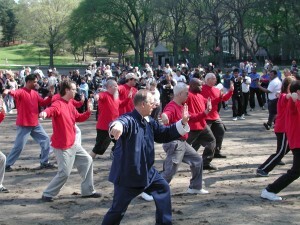 Comparing the Health Status of US Taijiquan and Qigong Practitioners to a National Survey Sample Across Ages. J Altern Complement Med. 2012 Mar;18(3):281-6. by Komelski MF, Miyazaki Y, Blieszner R. From Dept of Human Development, Virginia Polytechnic Institute and State University , Blacksburg, VA.
Purpose: The purpose of this study is to examine and compare health status across ages using a volunteer sample of U.S. Taijiquan and Qigong (TQG) practitioners (N=120; age range=24-83, M=54.77) and a nationally representative sample (N=414,629; age range=18-99, M=54.86) collected by the Centers for Disease Control and Prevention (CDC). Design: The study design was cross-sectional, between-group comparisons. Methods: An online survey designed to collect data on health-related quality of life (HRQoL), lifestyle variables, and TQG practice regimens was administered to a volunteer sample of taijiquan practitioners. A link to the survey was e-mailed to registrants of the International T’ai Chi Symposium who further forwarded (snowballed) the link to other practitioners across the country and around the world. The HRQoL and demographic sections of the survey were adapted from the CDC’s Behavioral Risk Factor Surveillance System (BRFSS). Taiji practitioner data and BRFSS data were then merged and three groups-No Exercise, Some Exercise, and TQG Exercise-were created for the analysis. Health status was regressed on age, exercise group membership, and the interaction between age and group membership while controlling for income and education. Results: After controlling for the effects of income and education, a significant interaction effect (p<0.001) was detected between age and group membership. Group membership was not a substantial predictor of health among younger individuals, but among older adults, substantive and significant between-group differences appeared, with the TQG group evincing the best average health trajectory across ages. Conclusions: Although this cross-sectional comparison cannot establish causality or rule out cohort effects, the extraordinary trajectory of health status among TQG practitioners in this U.S. sample is significantly better than average exercising and nonexercising U.S. Americans, even while controlling for the influence of income and education levels. Lifespan developmental theory is utilized to consider several factors beyond the physical exercise value of TQG that may be responsible for the exercise group differences. Efficacy and Safety of Meditative Movement Therapies in Fibromyalgia Syndrome: a Systematic Review and Meta-analysis of Randomized Controlled Trials. Rheumatol Int. 2012 Feb 15. [Epub ahead of print] by Langhorst J, Klose P, Dobos GJ, Bernardy K, Häuser W. from Dept of Internal and Integrative Medicine, University of Duisburg-Essen, Kliniken Essen-Mitte, 45276, Essen, Germany, j.langhorst@kliniken-essen-mitte.de. Abstract: A systematic review with meta-analysis of the efficacy and safety of meditative movement therapies (Qigong, Tai Chi and Yoga) in fibromyalgia syndrome (FMS) was carried out. We screened Clinicaltrials.Gov, Cochrane Library, PsycINFO, PubMed and Scopus (through December 2010) and the reference sections of original studies for meditative movement therapies (MMT) in FMS. Randomized controlled trials (RCT) comparing MMT to controls were analysed. Outcomes of efficacy were pain, sleep, fatigue, depression and health-related quality of life (HRQOL). Effects were summarized using standardized mean differences (SMD [95% confidence interval]). Outcomes of safety were drop out because of adverse events and serious adverse events. A total of 7 out of 117 studies with 362 subjects and a median of 12 sessions (range 8-24) were included. MMT reduced sleep disturbances (-0.61 [-0.95, -0.27]; 0.0004), fatigue (-0.66 [-0.99, -0.34]; <0.0001), depression (-0.49 [-0.76, -0.22]; 0.0004) and limitations of HRQOL (-0.59 [-0.93, -0.24]; 0.0009), but not pain (-0.35 [-0.80, 0.11]; 0.14) compared to controls at final treatment. The significant effects on sleep disturbances (-0.52 [-0.97, -0.07]; 0.02) and HRQOL (-0.66 [-1.31, -0.01]; 0.05) could be maintained after a median of 4.5 (range 3-6) months. In subgroup analyses, only Yoga yielded significant effects on pain, fatigue, depression and HRQOL at final treatment. Drop out rate because of adverse events was 3.1%. No serious adverse events were reported. MMT are safe. Conclusion: Yoga had short-term beneficial effects on some key domains of FMS. There is a need for high-quality studies with larger sample sizes to confirm the results. A Pilot Study of Yogic Meditation for Family Dementia Caregivers with Depressive Symptoms: Effects on Mental Health, Cognition, and Telomerase Activity. Int J Geriatr Psychiatry. 2012 Mar 11. Epub ahead of print] by Lavretsky H, Epel ES, Siddarth P, Nazarian N, Cyr NS, Khalsa DS, Lin J, Blackburn E, Irwin MR. from Dept of Psychiatry and Biobehavioral Sciences and the Semel Institute for Neuroscience, University of California, Los Angeles, CA, USA. hlavrets@ucla.edu . Background: This study examined the effects of brief daily yogic meditation on mental health, cognitive functioning, and immune cell telomerase activity in family dementia caregivers with mild depressive symptoms. Methods: Thirty-nine family dementia caregivers (mean age 60.3 years old (SD = 10.2)) were randomized to practicing Kirtan Kriya or listening to relaxation music for 12 min per day for 8 weeks. The severity of depressive symptoms, mental and cognitive functioning were assessed at baseline and follow-up. Telomerase activity in peripheral blood mononuclear cells (PMBC) was examined in peripheral PBMC pre-intervention and post-intervention. Results: The meditation group showed significantly lower levels of depressive symptoms and greater improvement in mental health and cognitive functioning compared with the relaxation group. In the meditation group, 65.2% showed 50% improvement on the Hamilton Depression Rating scale and 52% of the participants showed 50% improvement on the Mental Health Composite Summary score of the Short Form-36 scale compared with 31.2% and 19%, respectively, in the relaxation group (p < 0.05). 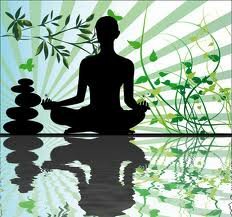 The meditation group showed 43% improvement in telomerase activity compared with 3.7% in the relaxation group (p = 0.05). Conclusion: This pilot study found that brief daily meditation practices by family dementia caregivers can lead to improved mental and cognitive functioning and lower levels of depressive symptoms. This improvement is accompanied by an increase in telomerase activity suggesting improvement in stress-induced cellular aging. These results need to be confirmed in a larger sample. Copyright © 2012 John Wiley & Sons, Ltd. Effects of Meditation on Perceived Stress and Related Indices of Psychological Status and Sympathetic Activation in Persons with Alzheimer’s Disease and Their Caregivers: a Pilot Study. Evid Based Complement Alternat Med. 2012; 927509. Epub 2012 Feb 21. by Innes KE, Selfe TK, Brown CJ, Rose KM, Thompson-Heisterman A. from Dept of Community Medicine, West Virginia University School of Medicine, P.O. Box 9190, Morgantown, WV 26506-9190, USA. Objective: To investigate the effects of an 8-week meditation program on perceived stress, sleep, mood, and related outcomes in adults with cognitive impairment and their caregivers. Methods: Community-dwelling adults with a diagnosis of mild cognitive impairment or early-stage Alzheimer’s disease, together with their live-in caregivers, were enrolled in the study. 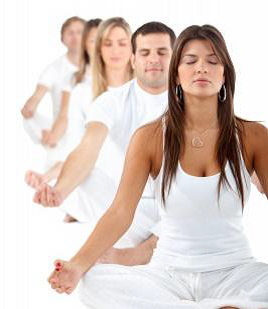 After a brief training, participants were asked to meditate for 11 minutes, twice daily for 8 weeks. Major outcomes included measures of perceived stress (Perceived Stress Scale), sleep (General Sleep Disturbance Scale), mood (Profile of Mood States), memory functioning (Memory Functioning Questionnaire), and blood pressure. Participants were assessed pre- and post-intervention. Results: Ten participants (5 of 6 dyads) completed the study. Treatment effects did not vary by participant status; analyses were thus pooled across participants. Adherence was good (meditation sessions completed/week: X = 11.4 ± 1.1). Participants demonstrated improvement in all major outcomes, including perceived stress (P < 0.001), mood (overall, P = 0.07; depression, P = 0.01), sleep (P < 0.04), retrospective memory function (P = 0.04), and blood pressure (systolic, P = 0.004; diastolic, P = 0.065). Conclusions: Findings of this exploratory trial suggest that an 8-week meditation program may offer an acceptable and effective intervention for reducing perceived stress and improving certain domains of sleep, mood, and memory in adults with cognitive impairment and their caregivers. The Effects of a Gentle Yoga Program on Sleep, Mood, and Blood Pressure in Older Women with Restless Legs Syndrome (RLS): A Preliminary Randomized Controlled Trial. Evidence Based Complementary Alternative Medicine 2012;2012:294058. by Innes KE, Selfe TK. From Dept of Community Medicine, West Virginia University School of Medicine, P.O. Box 9190, Morgantown, WV 26506-9190, USA. Objective: To examine the effects of yoga versus an educational film program on sleep, mood, perceived stress, and sympathetic activation in older women with RLS. Methods: Participants were drawn from a larger trial regarding the effects of yoga on cardiovascular disease risk profiles in overweight, sedentary postmenopausal women. Seventy-five women were randomized to receive either an 8-week yoga (n = 38) or educational film (n = 37) program. All 75 participants completed an RLS screening questionnaire. The 20 women who met all four diagnostic criteria for RLS (n = 10 yoga, 10 film group) comprised the population for this nested study. Main outcomes assessed pre- and post-treatment included: sleep (Pittsburgh Sleep Quality Index), stress (Perceived Stress Scale), mood (Profile of Mood States, State-Trait Anxiety Inventory), blood pressure, and heart rate. Results: The yoga group demonstrated significantly greater improvements than controls in multiple domains of sleep quality and mood, and significantly greater reductions in insomnia prevalence, anxiety, perceived stress, and blood pressure (all P’s≤0.05). Adjusted intergroup effect sizes for psychosocial variables were large, ranging from 1.9 for state anxiety to 2.6 for sleep quality. Conclusions: These preliminary findings suggest yoga may offer an effective intervention for improving sleep, mood, perceived stress, and blood pressure in older women with RLS. 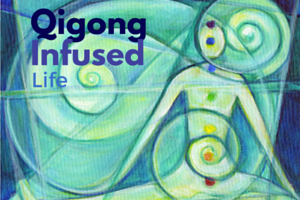 This entry was posted in Research Update, Uncategorized and tagged brain, heart, meditation, pain, Qigong, smoking, yoga, yoga therapy. Bookmark the permalink.